Random art project experimenting with pastels. I had to turn a movie poster into a kid's movie poster for Halloween. 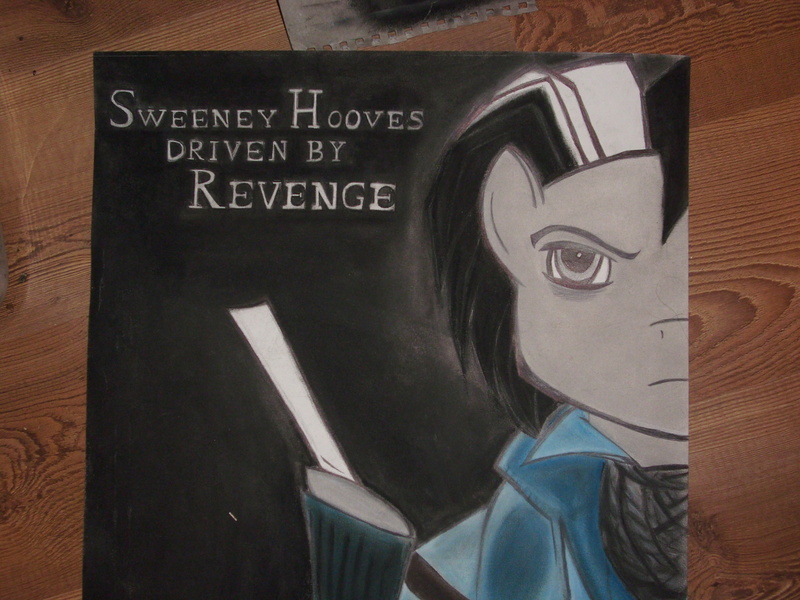 I chose My little pony and Sweeney Todd.